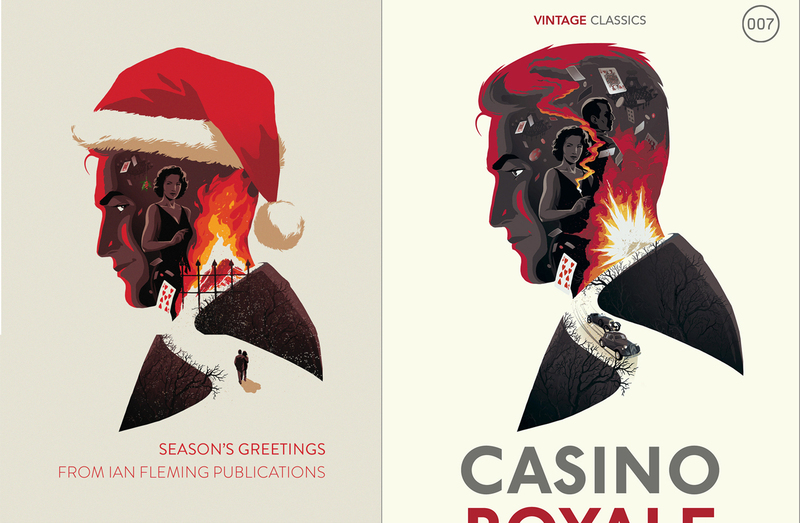 Earlier last year Penguin Vintage released three James Bond novels as hardbacks. The titles where Casino Royale, Live and Let Die and Goldfinger. The illustrations used for the covers were made by Levente Sabó. But Ian Fleming Publications then used the same drawing from Casino Royale for their Christmas cards but with some modifications. I have therefore constructed both drawings head to head so that you can see the difference. 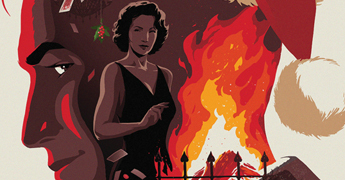 Note Bond's eye, mouth, mistletoe, cigarette, fire, gate and people. I must confess that I do not understand why there is a gate there with two persons. If you still have not purchased the three books I do suggest you do so. 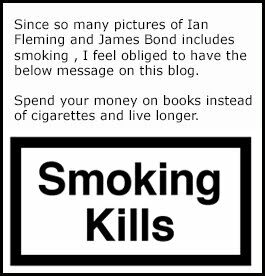 They are well worth to be included in any James Bond collection. You can find them on AmazonUK here. You can click the photo to see it bigger.